Search, compare and book for Campervan Hire in Airlie Beach. We Guarantee the Best Rental Prices in Airlie Beach - if you find cheaper, let us know! Campervan & 4WD Rental Airlie Beach from $29 Per Day! Looking to Hire a Campervan in Airlie Beach? Since driving conditions in the outback vary greatly, you should always consider the right campervan hire Airlie Beach for your travel. 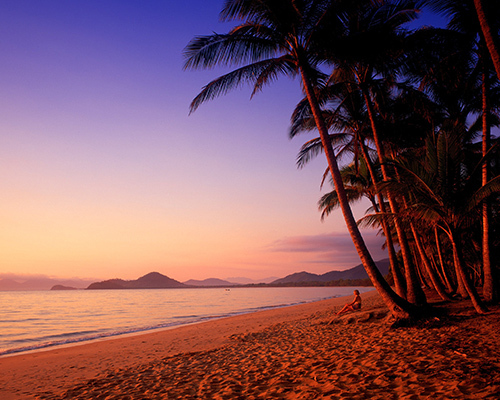 Campervan rental is the best when it comes to exploring Airlie Beach. Check out our best pricing and book your travel with us. We provide the best campervan hire pricing in Airlie Beach for budget backpackers in Australia. 760kms north of Airlie Beach, follow the coast. This is Australia's premiere tropical holiday destination. Follow the Bruce Highway as it winds its way up the North-Queensland Coral Coast, where you'll find heaps of Campervan-friendly camping spots and even friendlier locals! From Airlie Beach, you have a virtually unlimited number of tourist destinations to see - from Whitehaven Beach to Palm Cove and Cape Tribulation. This region of Queensland is a must-see for all campervan hirers... Hire a Campervan in Airlie Beach from $29 Per Day and explore the Great Barrier Reef and tropical North Queensland!